From a mysterious island hidden in the Pacific comes a man known to friend and foe alike. Genius. Scientific Wizard. Adventurer. Troubleshooter. Hero. A force for justice that strikes like thunder! Pro Se Productions, in conjunction with Altus Press, presents The New Adventures of Thunder Jim Wade! The latest in the Pulp Obscura line, The New Adventures of Thunder Jim Wade features brand new tales of this classic hero by six of the finest writers of new pulp today! Two-fisted action flies from yesterday into today thanks to Andrew Salmon, Ashley Mangin, Barry Reese, Frank Schildiner, Mark Squirek, and Nick Ahlhelm with fantastic art from Mike Fyles. The New Adventures of Thunder Jim Wade gives the world exactly what it needs today! A hero ready for whatever evil throws at him! Pulp Obscura presents The New Adventures of Thunder Jim Wade from Pro Se Productions! From a mysterious island hidden in the Pacific comes a man known to friend and foe alike. Genius. Scientific Wizard. Adventurer. Troubleshooter. Hero. A force for justice that strikes like thunder! 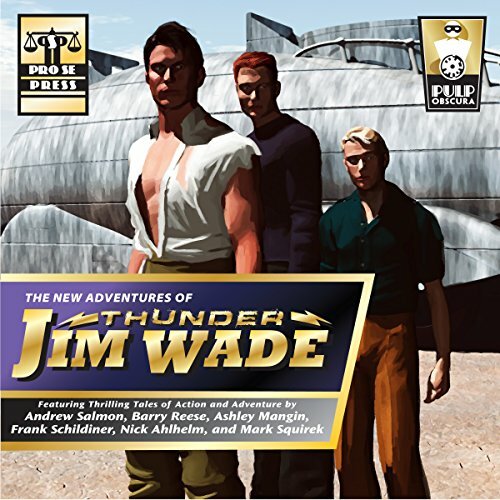 Pro Se Productions, in conjunction with Altus Press, presents The New Adventures of Thunder Jim Wade! The latest in the Pulp Obscura line, The New Adventures of Thunder Jim Wade features brand new tales of this classic hero by six of the finest writers of new pulp today! From out of the past comes a new tale of a hero who strikes like thunder! A madman's desperate quest for a fabled lost civilization! A brilliant scientist kidnapped! A menace unimaginable! 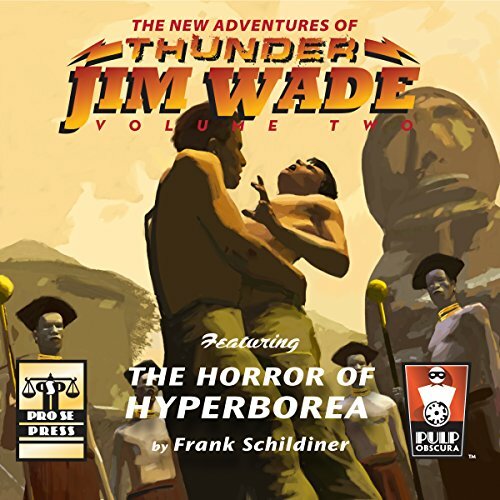 These are fragments of a greater mystery that sets thunder Jim Wade on a collision course with The Horror of Hyperborea!